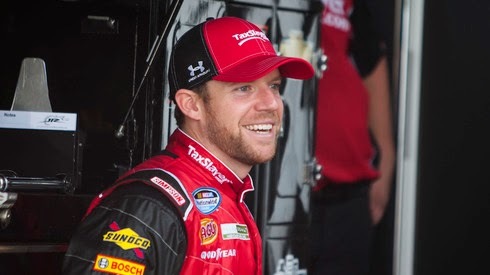 Stewart-Haas Racing has named Regan Smith interim driver of its No. 41 Haas Automation Chevrolet SS for the NASCAR Sprint Cup Series race weekend Feb. 26-March 1 at Atlanta Motor Speedway. Smith will begin driving the No. 41 car during the open test session on Thursday. Sunday’s race will be Smith’s seventh Sprint Cup Series start at Atlanta. His most recent Sprint Cup outing at the 1.54-mile oval was on Sept. 2, 2012 when he finished 14th. Atlanta will be Smith’s second race in the No. 41 car. He drove the Haas Automation Chevrolet to a 16th-place finish last Sunday in the Daytona 500. Smith already had some history with Stewart-Haas Racing prior to Daytona. He subbed for Tony Stewart in the team’s No. 14 car last August at Watkins Glen (N.Y.) International. The Cato, New York native was the 2008 NASCAR Sprint Cup Series Rookie of the Year and won the 2011 Southern 500 at Darlington Raceway. He is a full-time driver in the NASCAR XFINITY Series and finished second in the 2014 championship standings. An interim driver for the No. 41 team at next weekend’s Sprint Cup race at Las Vegas Motor Speedway and subsequent races has not been determined. What do you think the odds are this car will keep running? Haas started it just so he could get Kurt. Just think.....if he would have waited a year, he could have had Carl.